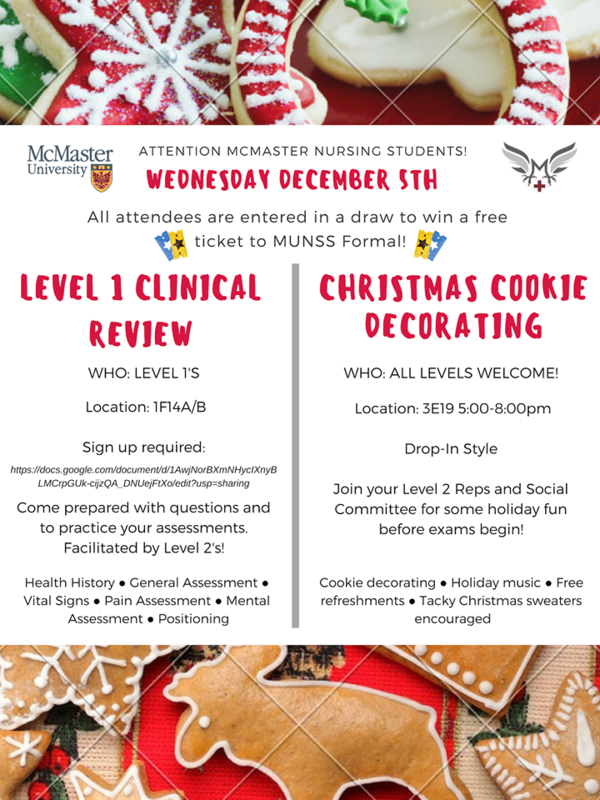 Hey Level 1 Conestoga Nursing Students! We will be holding 3 separate sessions to facilitate a clinical review in preparation for your 1I02 final examination. This review will provide you with an opportunity to review each assessment in small groups and ask questions to upper level BScN students facilitating the session. Everyone must wear scrubs and closed toe shoes in the lab room. Please sign up for one of the three available review sessions by November 30. If you have any questions please email them to level2@munss.ca.